Starting the pH meter: first, start the pH meter and let it warm for some time (usually this takes about half an hour). Tidying up the electrode(s): clean the electrodes with distilled water then dry them with a piece of lint-free tissue (preferably Kimwipes or Shurwipes). 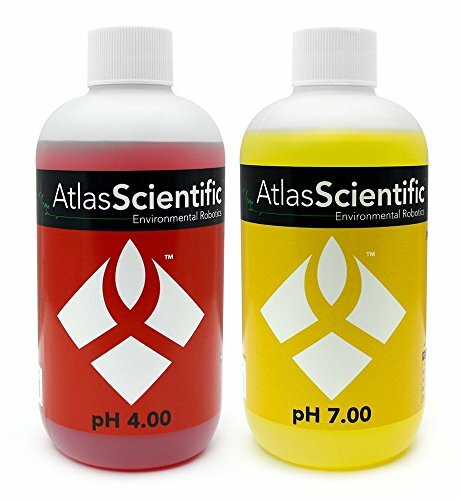 Begin with reading the buffer with pH 7: place your electrode into the buffer solution with a pH 7 and press “measure” to start measuring the solution. Give room for the pH to stabilize and then you can set the reading after a delay to between 1 and 2 minutes. 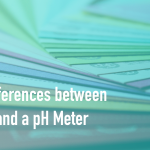 Set the pH after stabilizing: once you have a stable reading of the pH, you will need to set the pH reading again by pressing the “measure” button again. This will allow your pH meter to measure the pH more accurately. Repeat step (ii) in phase 1 above: Clean your electrode again using distilled water and dry with Kimwipes/Shurwipes. Place the electrode in the second buffer and read: next, place your electrode in the second buffer with pH close to the expected sample pH (preferably 4 for acids or 9.5 for bases) and press the “measure” button to begin reading. Repeat step ii above: hold on for about 1 to 2 minutes and wait for the pH reading in the meter to stabilize and re-read the pH after it has become stable by pressing the “measure” button again. Lastly, clean the electrode again: once you are done doing the two readings, clean the electrode again and dry it with a piece of lint-free tissue. Basically, that’s all you need to do to calibrate a pH meter!